How can we support the use of systematic reviews in policy making? In this series of short podcasts, our scientists will help you understand more about Evidence-based Health Care. 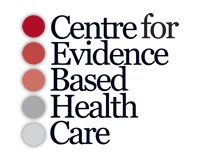 What is evidence-based health care? Dr Celeste Naude explains the 3 important principles of evidence-based health care. Getting to grips with evidence: systematic reviews versus “cherry-picking” Anel Schoonees describes why systematic reviews are an important source of information in evidence-based health care. In this series of short podcasts, our scientists will help you understand more about Evidence-informed Policymaking. Researcher and policymaker engagement to enhance evidence informed policies. Prof Taryn Young explains how scientists and policymakers can work together to achieve better policies. GRADE: The Grading of Recommendations Assessment, Development and Evaluation (short GRADE) Working Group began in the year 2000 as an informal collaboration of people with an interest in addressing the shortcomings of present grading systems in health care. The working group has developed a common, sensible and transparent approach to grading quality of evidence and strength of recommendations. GRADE webinars, developed by the Department of Clinical Epidemiology and Biostatistics of McMaster University and in collaboration with the Cochrane Collaboration. These audio-visual presentations (between 8 and 20 minutes each) take you step by step through the process of GRADEing evidence from systematic reviews on questions of interventions. AGREE: The Appraisal of Guidelines for Research and Evaluation (AGREE) Instrument evaluates the process of practice guideline development and the quality of reporting. Many clinical guidelines exist and The ADAPTE tool can be used to guide the adaptation of an international/national guideline to suit your local or specific context. The ADAPTE Process: Resource Toolkit for Guideline Adaptation. Version 2.0. With funding from the Canadian Institutes of Health Research and in partnership with the Guidelines International Network, the Guideline Implementability Research and Application Network (GIRAnet) promotes collaboration among guideline developers, implementers and researchers interested in implementability (www.g-i-n.net/activities/implementation/giranet). In plain language this means including information in or with guidelines that helps users to implement them. They are particularly interested in guideline implementability tools (GItools) that help users plan for, implement and evaluate use of guideline recommendations. GIRAnet identified, described and assembled exemplar guideline implementability tools (GItools) in a prototype GItool Directory which is publicly available and can be searched or browsed (http://giranet.org). Database for quick access to high quality health system and public health evidence. (Pretty Darn Quick) PDQ-Evidence is a new database that provides quick access to high quality health system and public health evidence. 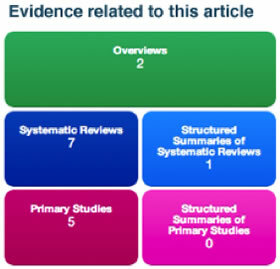 It includes systematic reviews and overviews of systematic reviews; primary studies included in those; and structured summaries. The connections between the documents make PDQ-Evidence very easy and quick to search. For example, each systematic review is linked to all of the studies included in the review, to overviews and policy briefs that include the review, and to other systematic reviews that include any of the same studies. There are over 14,000 records in PDQ-Evidence, including over 1500 systematic reviews that fulfil basic quality criteria. These numbers are increasing weekly. We search multiple databases to identify systematic reviews and overviews of systematic reviews that address an explicit question about health systems or public (population) health. We include systematic reviews and overviews of systematic reviews of questions about health system problems, the effects of health system or population health interventions, barriers to and facilitators of those interventions, and the effects of implementation strategies. We also include access to structured summaries of studies, such as SUPPORT Summaries. We’re working hard to make this site even better, and soon will be adding: more health system and public health evidence; translation of the interface and contents into French, Portuguese and Spanish; save searches, automatic updates, print search results or abstracts, and email search results or articles. Would you like to know when new features are available? Send your email to PDQ.evidence@nokc.no with the following subject: “Email notices of PDQ-Evidence”.